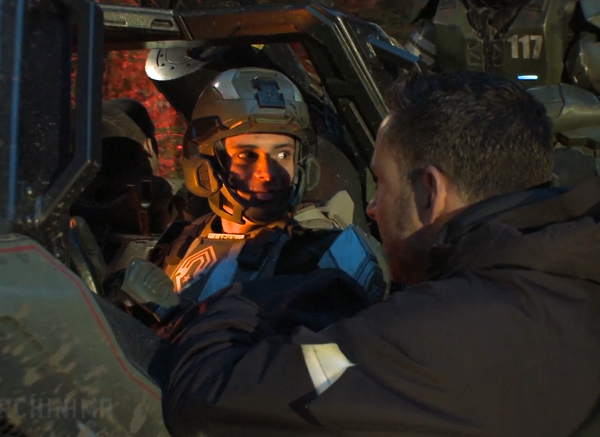 Fantastic news came in today that Stunt Co-ordinator James Bamford has been nominated for a Leo Award for Best Stunt Coordination in a Television Movie for his work on the webseries Halo 4: Forward Unto Dawn. 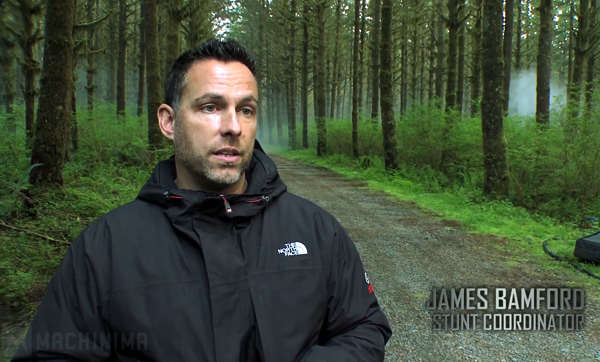 James was previously nominated in 2010 for Best Stunt Co-ordinator for Stargate Universe. The Leo Awards recognise outstanding achievement in film, TV and web productions in British Columbia. 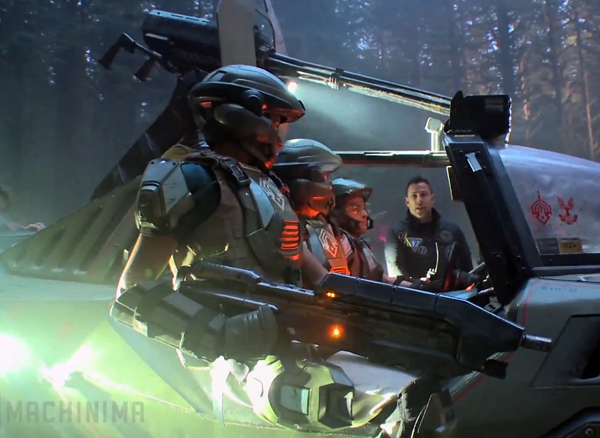 Halo 4: Forward Unto Dawn is the brilliant sci-fi web series written by Aaron and Todd Helbing and directed by Stewart Hendler, filmed in Vancouver in May 2012. 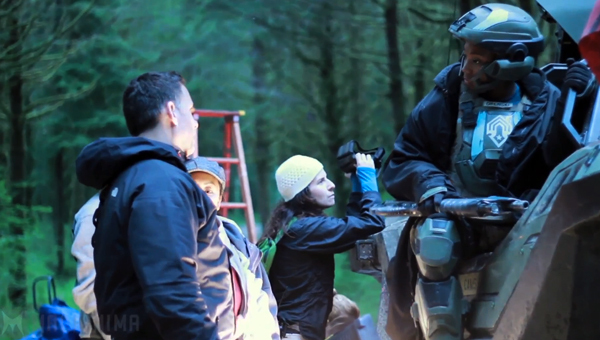 It was released online as five 15-minute videos via Machinima as a prelude to the release of the Halo 4 XBox game. A coming-of-age story, Forward Unto Dawn follows a cadet, Thomas Lasky, at a twenty-sixth century military training academy as it is attacked by the Covenant, an alliance of religious aliens. Lasky is unsure of his future within the military but feels pressured to follow in the footsteps of his mother and brother. That was the genesis of the stunt performed by action actor Daniel Cudmore. Daniel was attached to a descender that controlled the leap and allowed the stunt to be performed safely. The Warthog chase scene was incredible and if you haven’t had a chance to see how they shot it, I can highly recommend Shooting the Warthog chase. At the request of the director, James had the cast go through boot camp so that they could portray skilled military cadets working as a team. The boot camp wasn’t a walk in the park, actors cried and puked but at the end of the day they were glad they did it, it helped their performance. I’m so proud of him. He had a fantastic year and deserves all rewards coming to him. 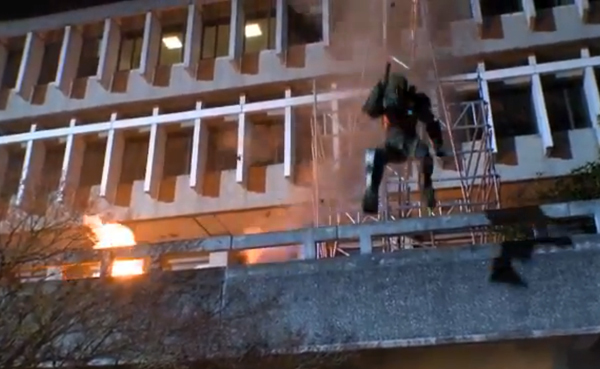 Arrow has 8 nominations, including 2 for Stunt Co-ordinator JJ Makaro too.